Home > Beauty, Wellness and Sports > Beauty > [ASTALIFT] Harper’s BAZAAR, Singapore knows a good sunscreen when they see one. [ASTALIFT] Harper’s BAZAAR, Singapore knows a good sunscreen when they see one. Harper's BAZAAR, Singapore knows a good sunscreen when they see one. 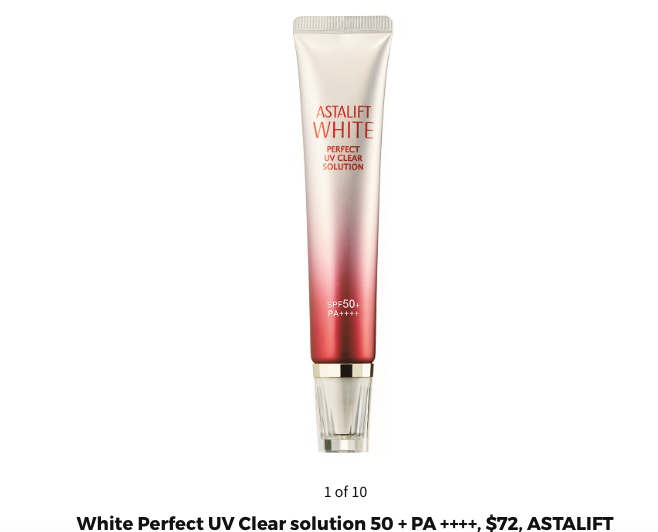 Astalift White Perfect UV Clear Solution 50+ is the perfect choice for complete sun protection without the heavy, pore clogging mess. Next: [llaollao Singapore] Celebrate llaoday with us every Tuesday!